See http://www.celiacdiseasecenter.columbia.edu/A_Patients/A02-FAQ.htm for more information. Checklist to take to your doctor! Recent studies from Columbia University have indicated that it takes an average of 11 years from onset of symptoms to diagnosis in the U.S. and many physicians are consulted prior to diagnosis. Originally considered a rare disease of childhood, celiac disease is now recognized as a common condition that may be diagnosed at any age. Recent studies have revealed an estimated average worldwide prevalence of 1 in 266 and a prevalence of 1 in 133 in the United States. This establishes celiac disease as one of the most common genetically based diseases that physicians will encounter. Because of lack of awareness, celiac disease is still vastly under diagnosed in the U.S. The disease has been reported in many countries from around the world including the Middle East with reports from Iran, from North Africa (Libya), from most countries in South America, from Australia and south Asia. The vast majority of individuals with celiac disease have little in the way of gastrointestinal symptoms or have symptoms that may receive a diagnosis of irritable bowel syndrome. While the classical symptoms include diarrhea, weight loss and edema, other patients may present with constipation, anemia, bone pain or bone loss, chronic fatigue, skin problems, abnormal liver chemistries, dental enamel defects and neurological symptoms such as peripheral neuropathy, ataxia or seizures. 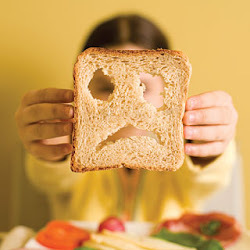 Some patients with celiac disease are truly asymptomatic or have symptoms related to an associated autoimmune problem. Basketball to Support Celiac Disease Awareness!